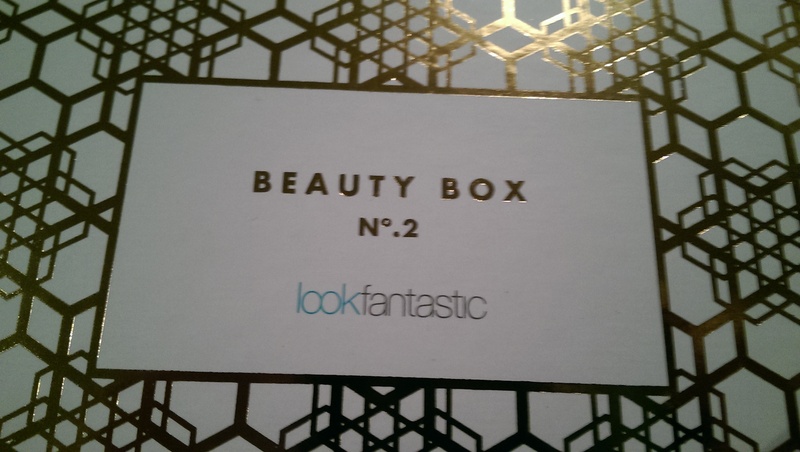 The second gold and shiny beauty box from Look Fantastic was delivered this morning. A text from Royal Mail let me know it had arrived (I didn’t know RM did that, I do now). 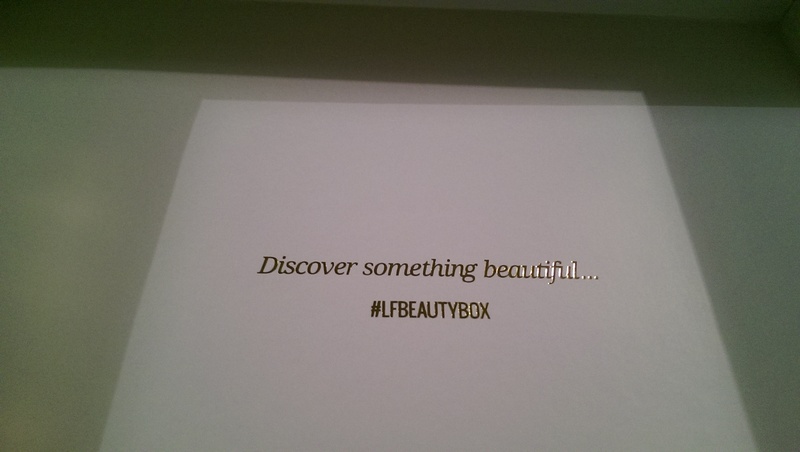 Inside the pretty box, beneath the layer of tissue paper lies this month’s selection of beauty goodies. 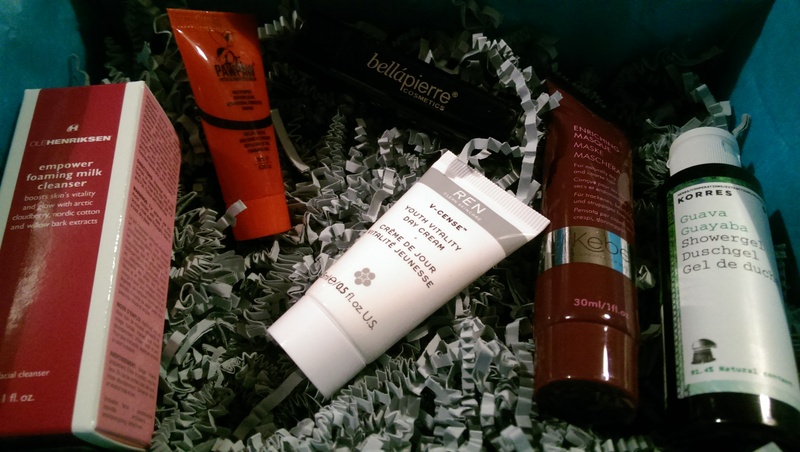 There’s more variety in this box than there was in the skincare fest last time. 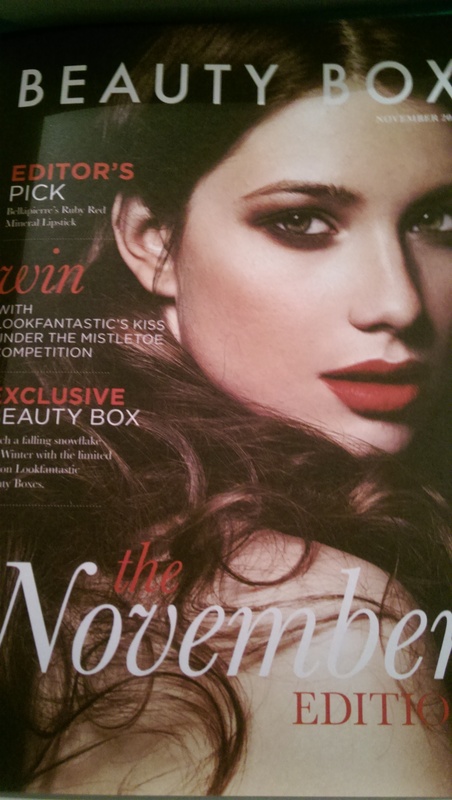 There’s a festive bent to the box this month, with Look Fantastic’s pick of a Ruby Red mineral lipstick from Bellapierre. The perfect shade for the season. Also in the box – Korres Guava Shower Gel – vitamin enriched, lightly scented, creamy-foam gel. Ole Henriksen Empower Foaming Milk Cleanser – travel sized, this cleanser promises to protect against free radicals with the power of Arctic cloudberries, which is packed with vitamins. 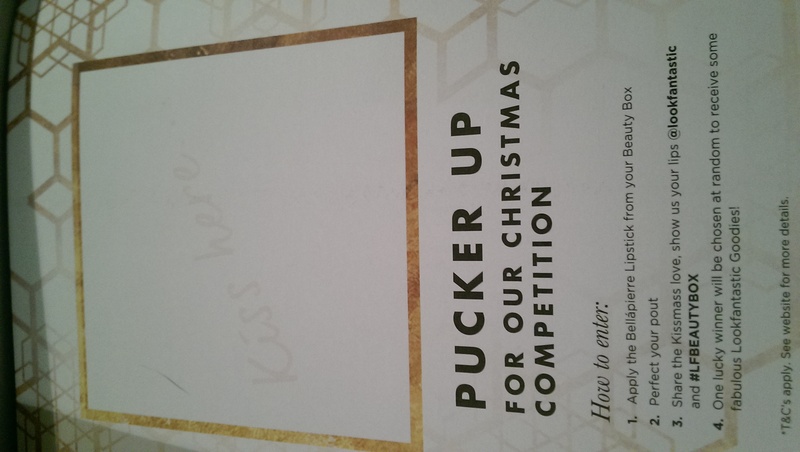 All I can say is that it smells inoffensive and left my skin soft. Dr PawPaw Tinted Ultimate Red Balm – a limited edition balm that can be used for lips, cheeks and touch ups. Containing pawpaw extract, olive oil and aloe vera. Ren V-Cense Youth Vitality Day Cream – a moisturiser that hydrates, smoothes and boosts skin energy and elasticity. Kebelo Enriching Masque – designed for naturally dry hair, this contains argan oil and a host of happy hair ingredients that mimic natural hair oils and nourish your hair to keep it shiny and healthy. Hi, I thought I’d stop by to let you know I really enjoyed your post! Very cool, interesting (and stylish too!!) Keep it up!